The biggest dog show in the United Kingdom is back for another year of high stake competitions over a four day period. With 21,000 healthy, happy dogs competing in different classes, from breed handling to Flyball, it can get a bit confusing for those tuning in to watch the live stream on YouTube or catching up on Channel 4 for the first time. The first thing you will see on the listing guide, and this is where the confusion can start. Instead of day 1, day 2 and so on the day will be followed by group competing in handling rings that day. Normally they will be shown in pairs, Working and Unity for example. In the article, I will break down each group, providing background information on each group, celebrating the world of the K-9. Here you’ll find your Labradors and Spaniels, working alongside gamekeepers and their beaters for centers. Used not for hunting small woodland animals, but for retrieving, flushing and pointing out Game. Their soft bite allows them to carry birds and rabbits in their months without damaging them and their silky smooth coats help protect them from the undergrowth, some also have webbed fit to help power them though the water. They come in all shapes and sizes. The smallest being the American Cocker Spaniel standing at, 34-39cm high. While some breeds, such as the Large Munsterlander can reach heights of 65cm. Working is the powerhouse group, where the big boys belong, Here you’ll find the muscle dogs, like Huskies. The Huskies made for pulling heavy sledges on cold winter nights. Here you’ll also find the Rottweiler, breed to march along with the Romans, and of course the Great Dane, once used to hunt down boar in Germany. 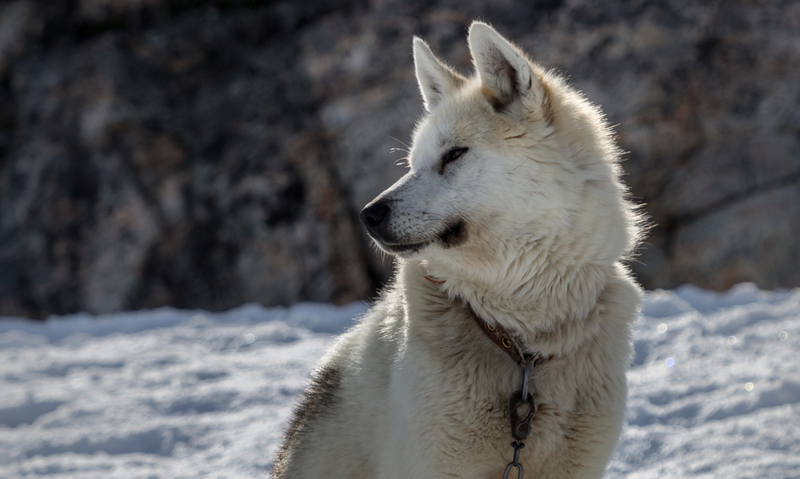 The Working group is also home to the last surviving native breed of Greenland, aptly named Greenland dog, once used to hunt down Polar Bears. The cheeky personality of the Terrier, bouncy, loud and full of life. You probably have heard the barks of a Jack Russell. Fun Fact: the Jack Russell has only recently been recognised by the Kennel Club. Right up until 2016 they didn’t really exist. As we are talking about Terriers, now would be a good time to give the stuffy a well-needed shout out. They haven’t got the best reputation but are in fact one of the best temperaments and would make a great campanion in any home. The Terrier group is also home to some of the oddest looking dogs such as a Skye Terrier, a fearless little dog, used to hunt badgers. 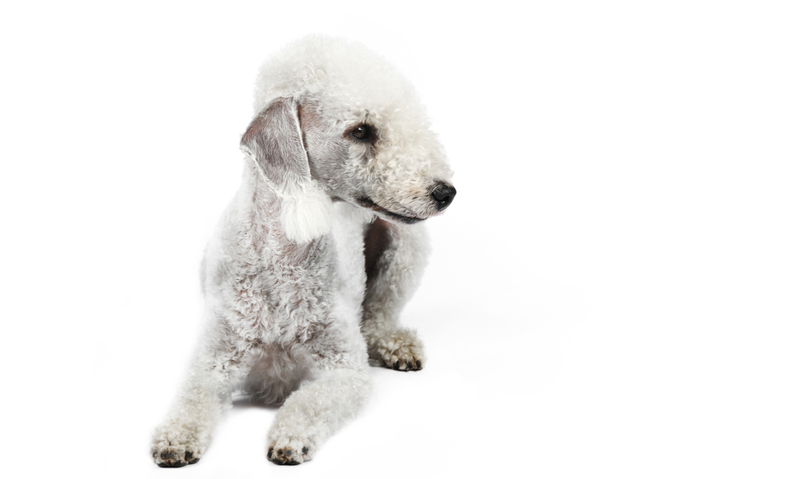 And what has got to be the weirdest shape dog there, the Bedlington Terrier, It kind of looks like a lamb, with a hunch back and a massive lump on its nose. This group is a weird one. I’m not too sure how to describe their dogs with a rule, but unlike Working or Gundog breeds that have a number of different skills a Utility dog only has one job. 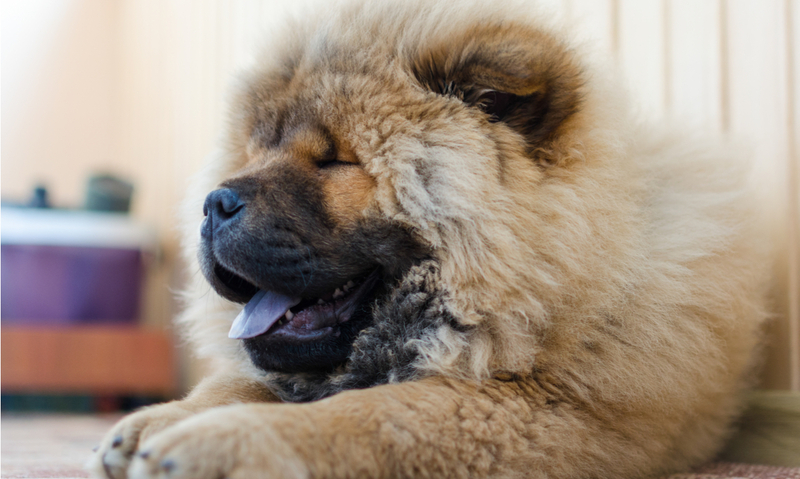 Take, for example, the Chow Chow. Once used as a food source before it’s guarding trait was discovered, but it became a guard dog and is still used as a guard dog to this day. The Utility group is made up of a number of very different breeds with no distinguishing features, but it does, however, hold some of the oldest dog breeds known to man. Home of the cattle dogs, the quick boys that can withstand the harsh weather. Most, if not all, of the dogs in this group have a double coat. Not only do they herd sheep, but reindeer, ducks and people. 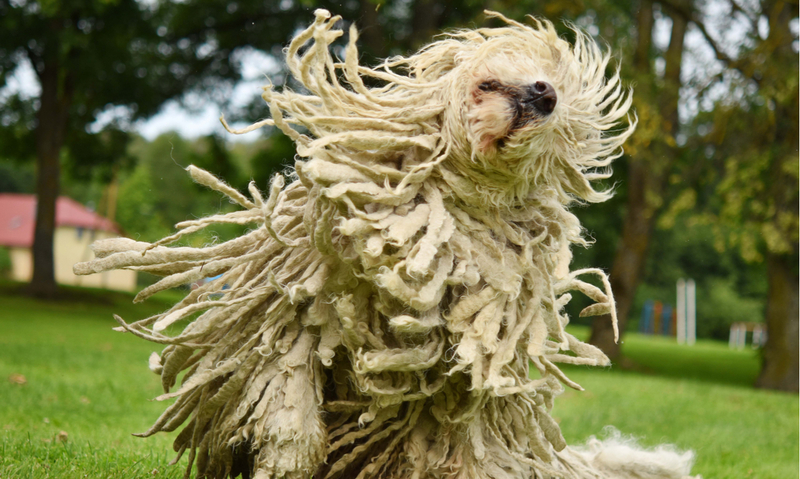 Native to Hungry, this powerful dog made of dreadlocks is fiercely territorial and was bred to guard sheep in the hills. Their thick locks help protect them from predators. An angry wolf, for example, won’t be able to get to any of the dogs skin. These dogs are used to hunt, either by sight or scent, and you can normally tell just looking at them. Tall, long and slender, hounds are most likely to be sight, while bulky dogs with loose skin around their face tend to be scent. In this group, you will find the race horse of the dog world, the long-legged greyhound. 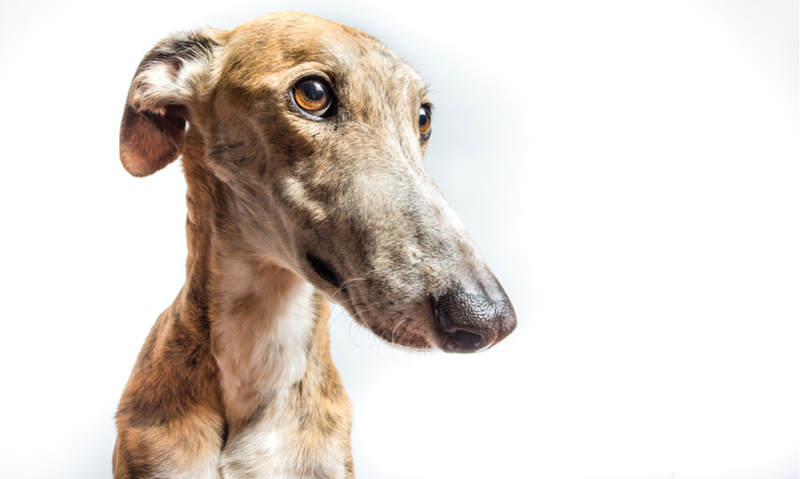 Dating back to the Egyptians, the greyhound was used to chase down deer and larger game. On the other side of the Hound group, you’ll find the droopy-faced Bloodhound. The loose skin folds around the face combined with their long ears, help to draw scents into their sensitive nose. Nowadays Bloodhounds can be seen hunting people on the run. The Toy is the last group on the list and it’s a group of dogs filled with personality. Unlike other the groups, the Toy group is made up of only small dogs. The group is made up of 25 of the smallest dogs known to man, and have been bred to be the perfect lap dog. 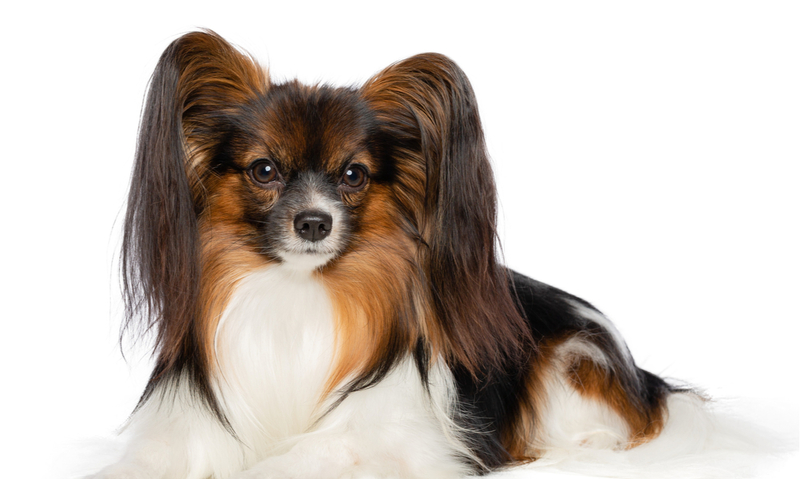 This group is made up of some of the cutest dogs around, such as the Papillon, also known the butterfly dog. This small dog was once bred for and has been owned by many rulers over the years, and you can see why. 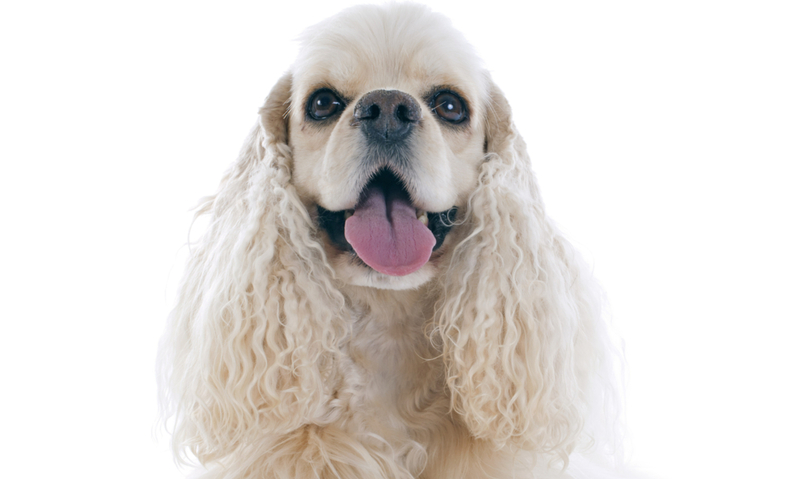 This small dog has a big personality, with large fluffy ears that almost lift it off the ground when it runs. It doesn’t matter what dog you get, but it is important to do your research before you get one. Each breed has its own needs, and some will need more work than others. If you are looking for a dog it’s always a good idea to check rescue centres first. If you’re after a puppy, look for a good breeder, stay away from pet websites and make sure that they are kennel club registered. For more information please go to the kennels club site https://www.thekennelclub.org.uk/ for all your dog needs.